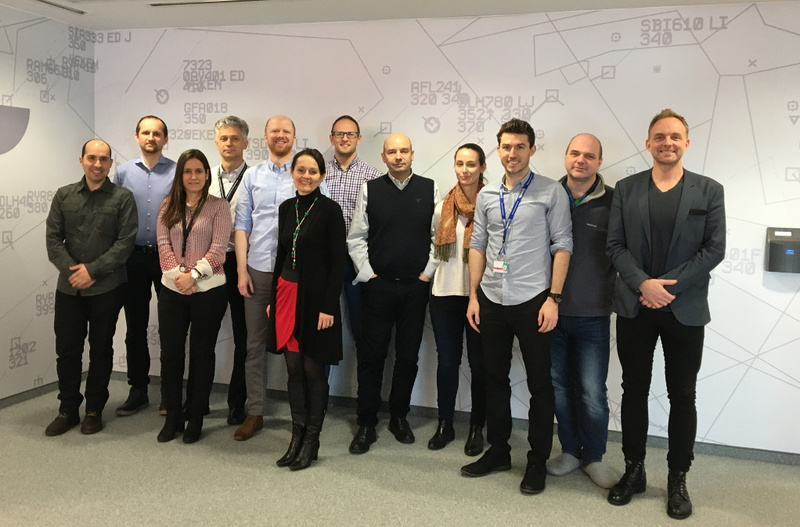 On February 5th, 2019, the PBN Regional Implementation and Sustained Monitoring of EGNOS Performance (PRISME) project kicked-off in Vienna. The project aims to implement Performance Based Navigation (PBN) in Austria and Slovakia. In particular for Austria, PBN procedures at various airports (Salzburg, Klagenfurt and Graz) will be implemented. Advanced departure procedures using RF (Radius to Fix) legs will also be developed for Salzburg airport, where the complex terrain paired with a highly noise-sensitive community is a major challenge when it comes to balancing runway directions used for departures. The developed procedures will therefore benefit from state-of-the-art procedure design enabling predictable and accessible departure routes hence facilitating a more efficient airport operation. On the Slovakian side, a redesign and optimization of the airspace for the airports Košice and Poprad/Tatry will be performed. It will enable future implementation of PBN standard instrument arrivals and standard instrument departures at Košice airport, which will increase safety, efficiency and environmental sustainability. In order to ensure Global Navigation Satellite Systems (GNSS) continuity and signal reliability that is needed for PBN, GNSS signal performance assessment and interference measurements will also be conducted at several Austrian and Slovakian airports. Furthermore, to develop a solid backup scenario for a major GNSS failure event a Distance Measuring Equipment (DME) coverage analysis for Terminal Control Areas (TMAs) of all six major airports in Austria will be carried out. This project is led by Pildo Labs in consortium with Austro Control and LPS SR (the air navigation services providers of Austria and Slovakia respectively) and Nova Airlines (a Swedish airline company). PRISME is funded by the Innovation and Networks Executive Agency (INEA) under Action no 2017-EU-TM-0137-M.